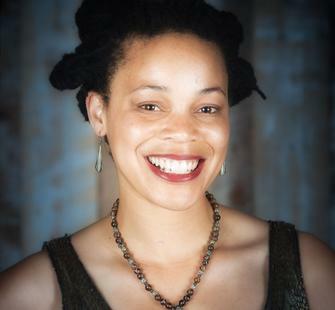 Cherie Hill is the Director of Community and Culture and a teaching artist at Luna Dance Institute. She is also the artistic director of Cherie Hill IrieDance, where she researches dance, transcendence, and how the body is a vessel for metaphysical presence. Hill has published dance research in Gender Forum and The Sacred Dance Journal and has presented at conferences such as the International Association of Black Dance conference and the International Conference on Arts and Humanities. She is a former board member of the Sacred Dance Guild, current chair of Berkeley Cultural Trust’s equity and inclusion committee, and an alumna of the National Guild for Community Arts Education Leadership Institute. Hill received her BA in Dance & Performance Studies from U.C. Berkeley, her MFA in Dance Choreography and Performance from the University of Colorado-Boulder, and holds graduate certificates in Somatics, and Women & Gender Studies.